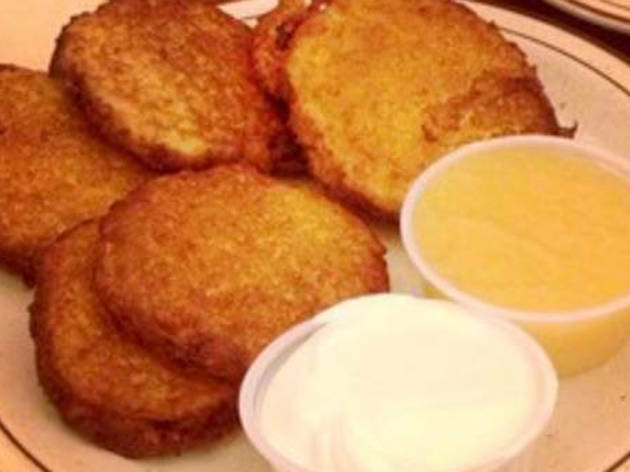 It doesn't have to be Hannukah for you to enjoy the best latkes in Los Angeles. You can find these potato pancakes at some of the expected Jewish spots plus a few surprising restaurants, from Fairfax Village to Downtown and everywhere in between. 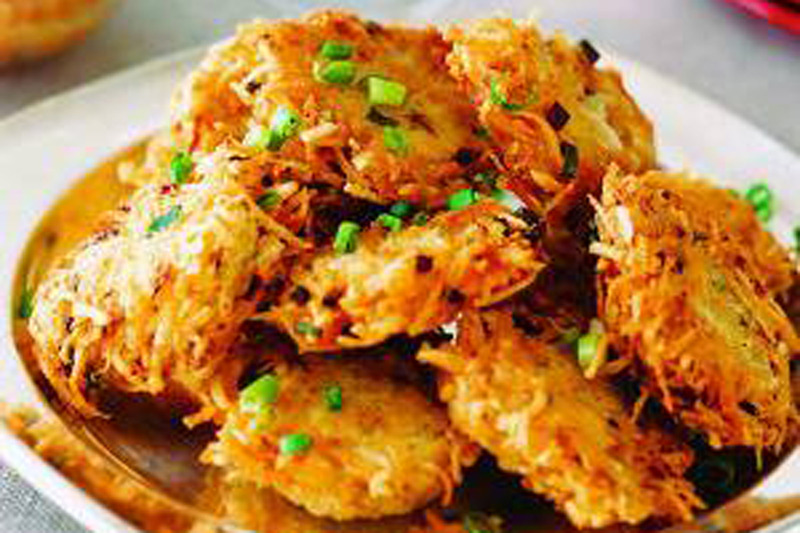 The crispy latkes come in a variety of flavors (sweet potato, zucchini and more) and many are available to go. 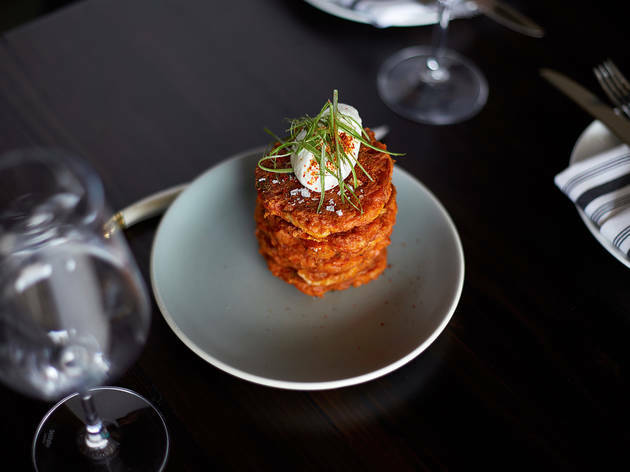 Whether you're craving the crispy potato pancakes in the morning or evening, this Beverly Drive staple is latke-ready. 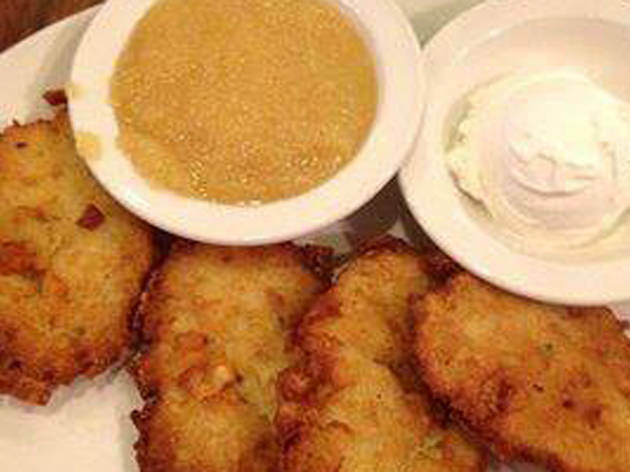 Order a potato pancake from the breakfast menu or feast on four latkes on the lunch and dinner menu, served with sour cream and applesauce. Pairing two traditional Jewish foods, the Latkes & Lox dish takes two crispy potato pancakes and tops them with smoked salmon, two poached eggs and crème fraiche, served with seasonal fruit. 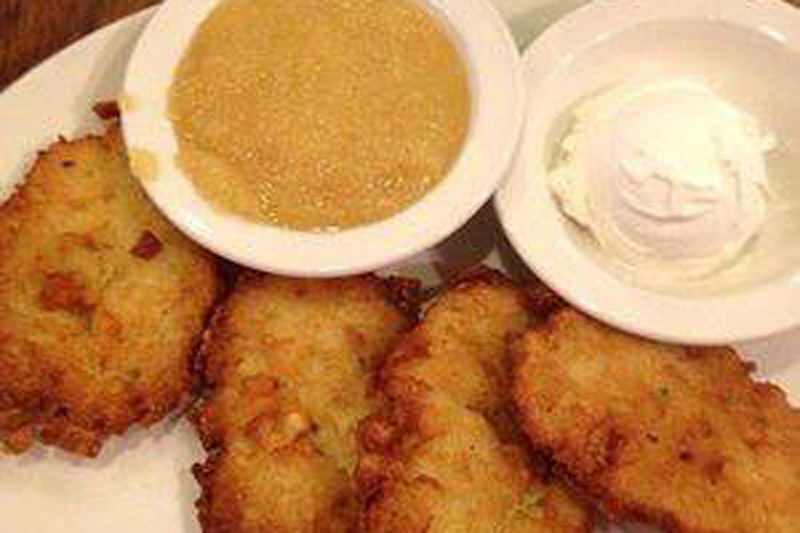 One order comes with five traditional potato pancakes, served with sour cream or applesauce. 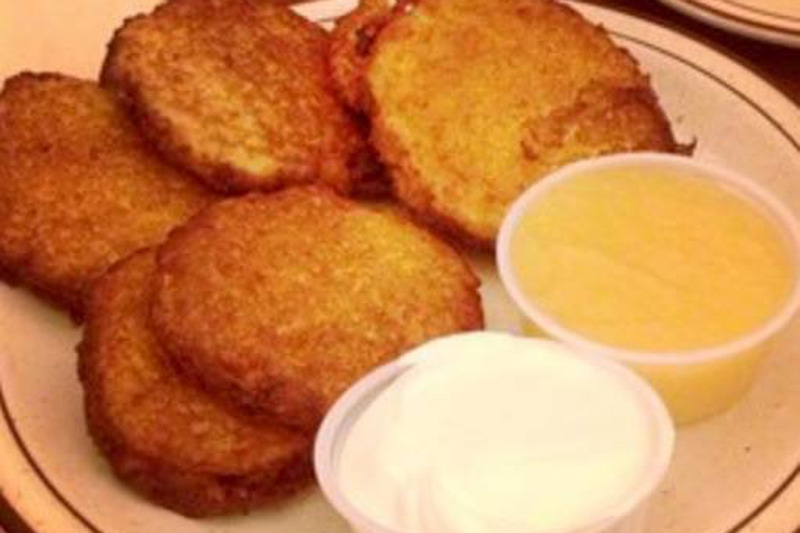 The biggest decision you have to make here is your choice between an order of three or six potato pancakes. Good thing they don't make you choose between sour cream or applesauce. 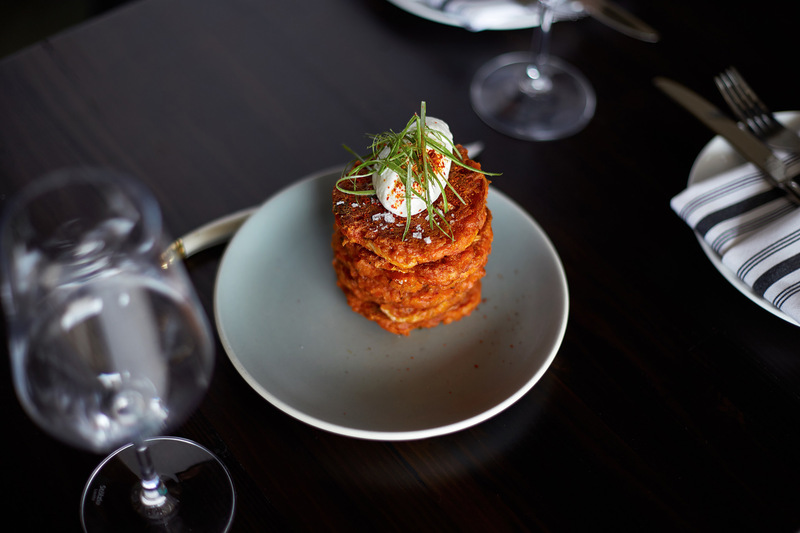 Leona's spicy twist on this classic dish is their Korean latke, made with kimchi and served on a wooden board with crème fraiche and scallions. 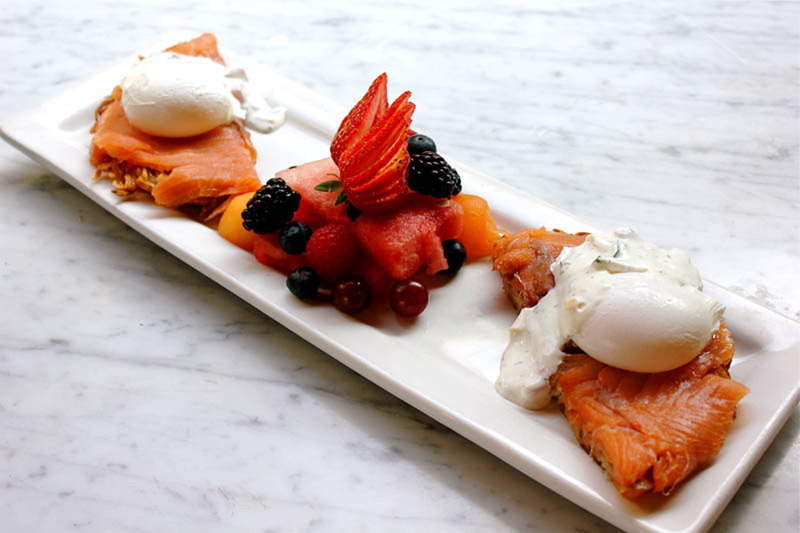 Got Kosher? 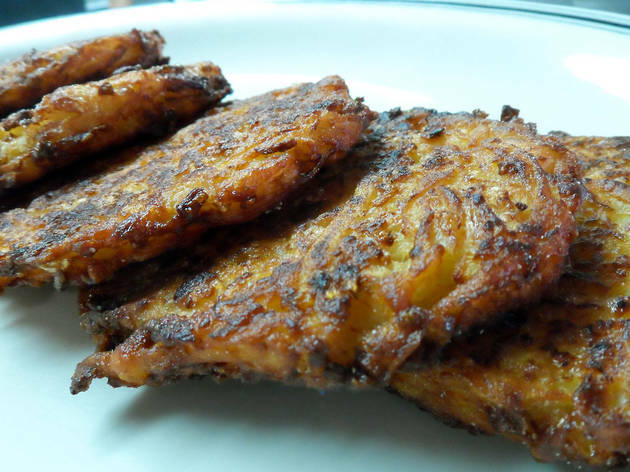 has got you covered with more than 10 kinds of latkes, including sweet potato and zucchini, all of which can be made gluten free. 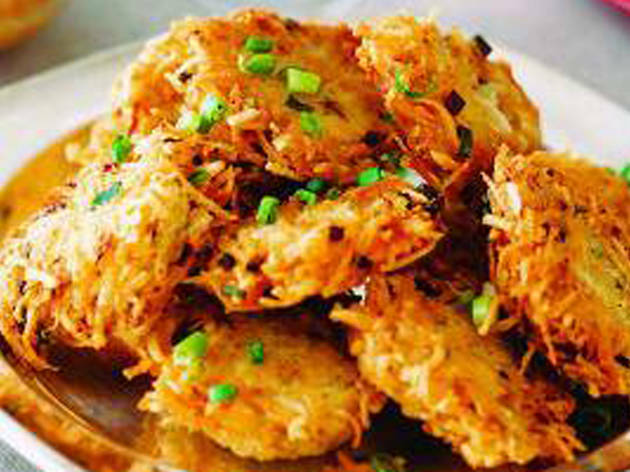 When it's not Hannukah, a minimum of two dozen latkes can be ordered through catering. 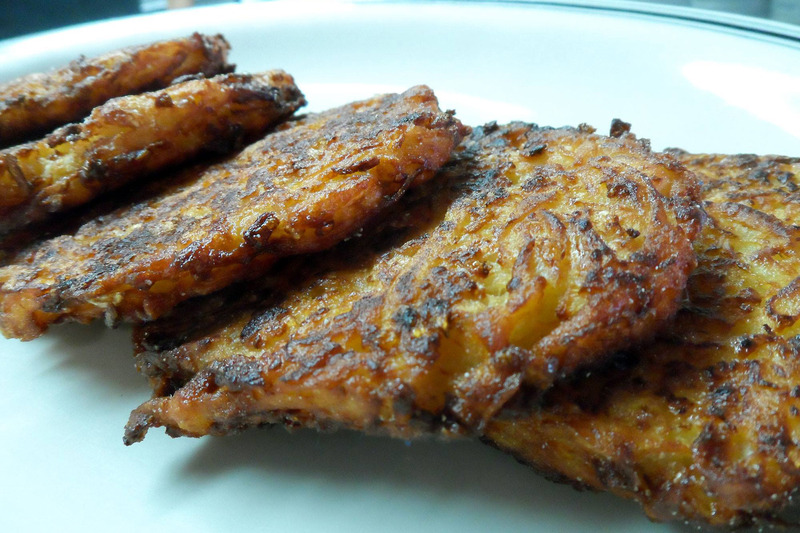 Is all this talk about latkes making you crave another classic Jewish-style dish? 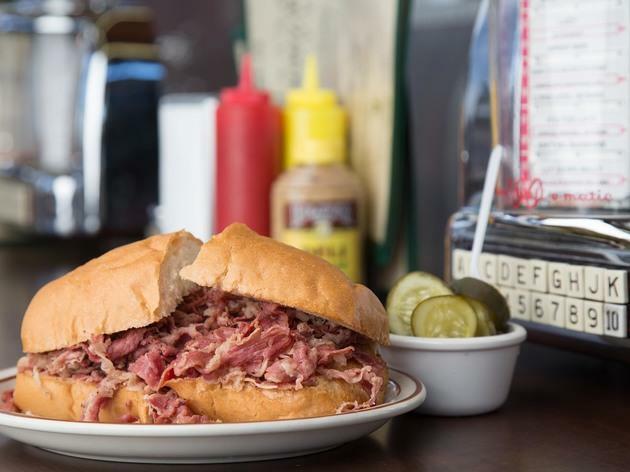 The 9 best pastrami sandwiches in L.A.
Our love for latkes is rivaled by our love for pastrami sandwiches. 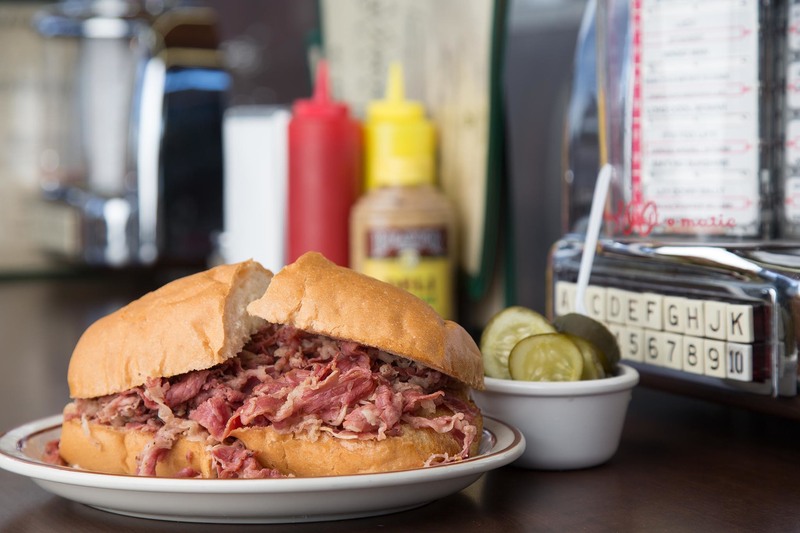 Here is a list of our favorite ones in Los Angeles.